Increasingly popular, fitness trackers allow people to monitor, among other things, how many steps they take in a day. In many cases, simply by accounting for their steps, people are encouraged to walk more. What if we could bring that idea to, say, recycling? And get companies and institutions to track and increase their recycling? That’s what Busch Systems, the company behind the iconic blue recycling bins, is doing with its new Busch Systems Resource Center. Launched in May, the Resource Center is a free online application where people can track their collection of recycling, waste and compost. Users receive a dashboard with statistics on money saved, waste management costs, carbon-dioxide emissions prevented and trees saved. They also have access to educational resources, including how-to guides on starting or improving recycling programs. While the Resource Center aims to encourage recycling, it will also be an important data collection tool not only for Busch Systems, but for anyone who uses the application, which at the end of the day, was created to find innovative ways to encourage recycling. 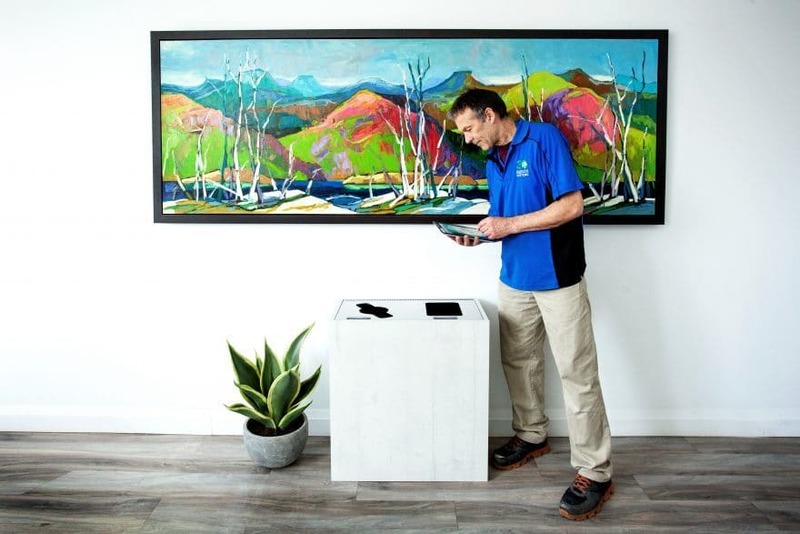 Located in Barrie, Ontario, Busch Systems has been manufacturing recycling bins, containers, carts and composters since 1985, when founder Craig Busch brought a lighter, more durable recycling bin to the market. Today, its recycling bins, which are made with at least 35 percent recycled content and are fully recyclable themselves, are ubiquitous in the U.S. and Canada. Resource Center will go a step further and actually incentivize recycling. That might be especially helpful to facilities managers. There are also cities that mandate recycling. This could help businesses and institutions in those areas track their programs, which are always being scrutinized for their effectiveness. A lot of people don’t recycle or are apathetic because there isn’t a reward, Bortolussi says. Busch Systems hopes that showing people how much they’re reducing carbon dioxide emissions, for instance, will provide the incentive they’re lacking. Busch Systems will use the data that is entered into the Resource Center to identify the “geographical backstory” of the current recycling landscape. In the U.S. there are recycling hotspots in places like California, Oregon and the upper East Coast. In Canada, advanced recycling programs can be found in Ontario, British Columbia and Alberta, but in some states and territories, recycling is still new. That data will help Busch Systems create its own statistics. The company has found a lot of variance in facts and statistics about recycling and hopes to create its own current, real-time statistics. Busch Systems has a track record of innovation. 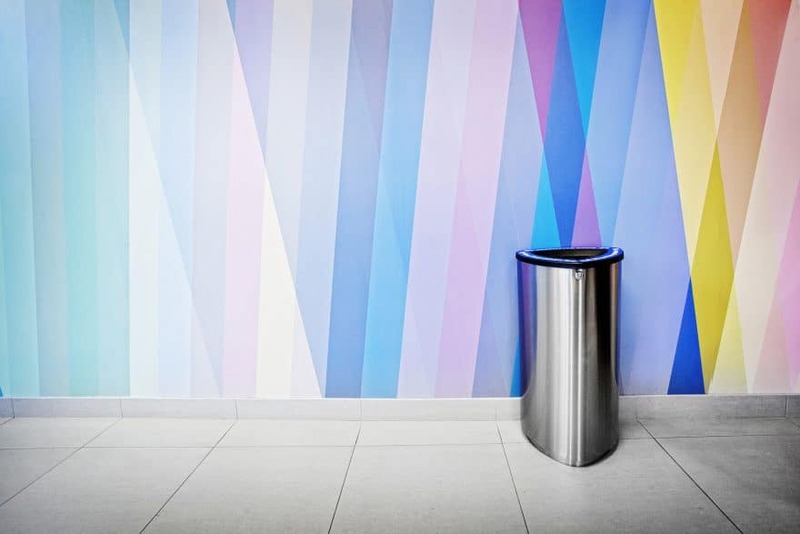 While it’s known for its iconic, colored plastic recycling bins, it has a wide range of makes and models suited for offices, homes, public spaces, healthcare facilities and more. Busch Systems is happy to customize its products, as well. “We don’t want people to say, ‘I can’t find any recycling bins that I like, so we’re not going to bother,’” Bortolussi says. 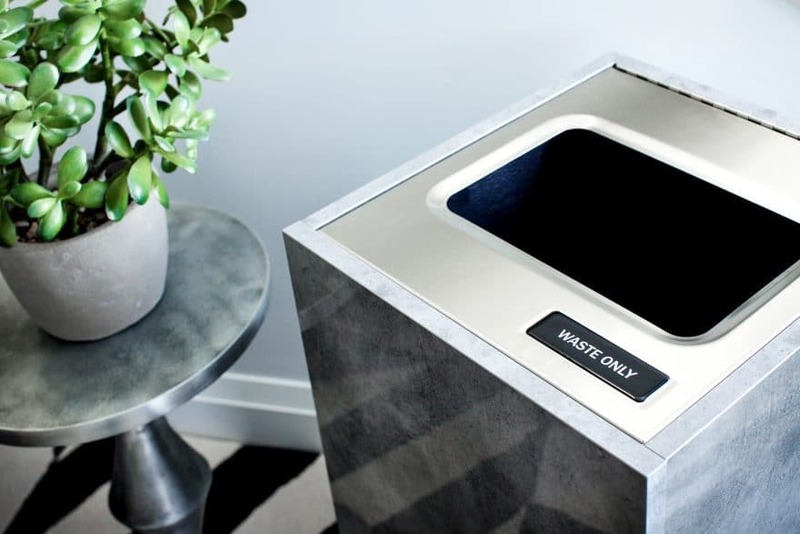 The company recently designed custom bins for an apartment building in New York City, where the bins will blend into each unit just as much as the other appliances. That can be especially appealing to green builders because Busch Systems bins qualify for LEED points through the U.S. Green Building Council. While recycling does have a “pie in the sky, Earth Day kind of feel”—and that’s an effective incentive for some—Busch Systems hopes its new Resource Center will help others recognize the financial benefits of recycling, as well. Busch Systems still receives calls from companies and organizations saying they want to start a recycling program or want to add composting. That creates a sense of excitement. “There’s so much to be done in so many areas,” Bortolussi says.